Zinc could be your new skincare BFF! This little skincare ingredient has a lot of good to give your skin. Here is ALL you need to know about Zinc in your skincare and where to find it! 2. ACNE FIGHTER + SPOT TX // Reduces redness associated with acne and helps vitamin A (a gold standard in acne treatment) work better! 3. REDUCES OILINESS // Zinc is like a STOP sign to sebum (the oily stuff on your skin), because oily skin types make lots of sebum, using Zinc in skincare can get sebum production back to normal! It’s easy to forget that the appearance of your décolletage might be giving away your age. We tend to focus on our faces, and unfortunately this important area can be sidelined. The décolletage is an area that. For the vast majority of us, has lots of sun damage, making it very prone to wrinkling, loss of elasticity, thinning and crepey-ness. There are five easy things you can do to help this area look more youthful! Dead skin cells can build-up anywhere on your body. 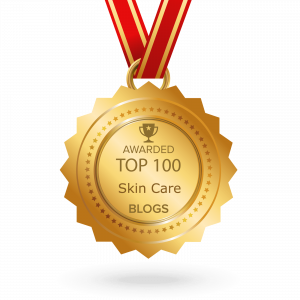 They serve an important purpose, but unfortunately, they also make crepey skin look worse, wrinkles look deeper and skin overall looking duller and older. We generally don’t recommend scrubs on the delicate décolletage, especially since crepey-ness is the first sign of collagen and elastin loss (meaning skin wont bounce back from harsh scrubbing), however the Vivier Vitamin C Scrub is AWESOME. It will gently lift away dead skin cells without causing further damage to thin skin AND it gives a dose of plumping hyaluronic acid to help smooth out fine lines! Avoid: Strong AHA’s or BHA’s as they can be quite overpowering on the décolletage. We often moisturize our bodies right out of the shower, but sometimes that is not enough. In the arid environment that is Calgary, we need to actually help retrain our dry skin to KEEP moisture in. When moisturizer is applied, but skin still feels dry (or crepey) adding a layer of skin plumping hyaluronic acid before you moisturize will increase the amount of water your skin holds onto, creating healthier skin with fewer fine line. The next step is soooo obvious. Sunscreen, sunscreen, sunscreen. Find one you like, so that you remember to use it, and put it on, every morning. The AAD (American Association Dermatology) recommends an SPF 30 for daily use. Studies have shown that it’s never too late to start using an SPF daily, so remember, even if you think you are too far gone for an SPF to help, in truth ; it’s never too late! Avoid: Serums or creams containing Retin or Retinoic Acid. The décolletage frequently responds with rashes and irritation to these ingredients. The most popular treatment at SkinScience for décolletage is IPL. It creates a smooth, even, fresher décolletage. At Skinscience we recommend 2 treatments to start, spaced 1 month apart. Results are seen quickly and are long lasting. An IPL treatment will target sun-damage, redness AND stimulates collagen!! The treatment is comfortable, and the results are consistently good! What are you waiting for! 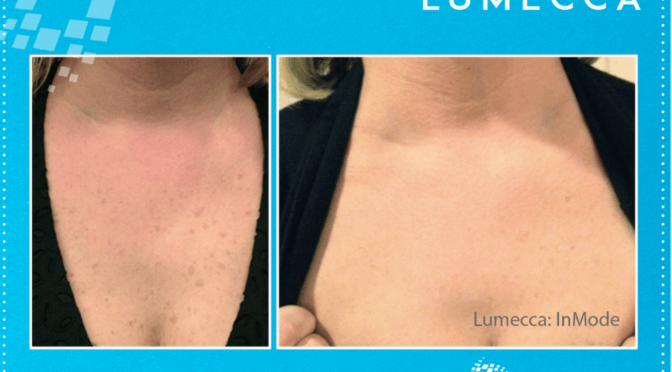 Call today to find out how you can have a more youthful décolletage! As always we are here to help you create the perfect, customized routine and treatment schedule for YOUR skin! Ouch! 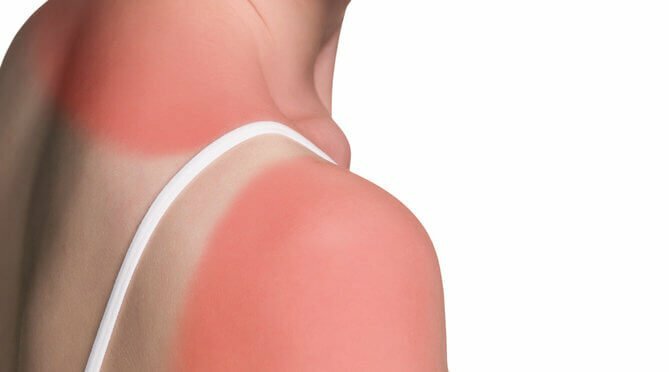 You Have a Sunburn, Now What? So, you’ve got yourself into a pickle. You tried to avoid it, but still ended up with a sun burn. So now what the heck to do about it? We have a step by step plan to recover from your sunburn! Spending the day in the sun can really dehydrate you. Sunburns will only amplify that. If you are dehydrated, you will have a harder time recovering from your burn. If you are concerned you are dehydrated, start with a rehydration supplement (Gatorade will do) and then keep up with drinking extra water for the next 24 hours. Start with an NSAID (Non-Steroidal Anti-Inflammatory). An Aspirin or an Advil will go a long way in helping to reduce the painful, hot, inflammation from the inside out. Reduced inflammation often means faster healing. Talk to your doctor or pharmacist to determine dosage and which one is the best for you. Our favorite is the Avene Thermal Spring Water, in the aerosol spray can. You can buy it at many large chain pharmacies (Shoppers Drug Mart if you are in YYC). The water is medically sterile, and bottled in France at the Avene spring, which is world renowned for its healing properties. If you have a plant, that’s obviously perfect. In Canada though, that is not always an option. Find an Aloe Vera gel at your pharmacy with as few ingredients as possible and apply it as needed. Keep it in your refrigerator for extra soothing and cooling. It takes hours for a sunburn to fully develop. Once you see the signs of a sunburn, its already happened! Take steps as soon as you can to prevent it from getting worse. If you need to go outside again while you have a sunburn, find a Zinc based SPF. 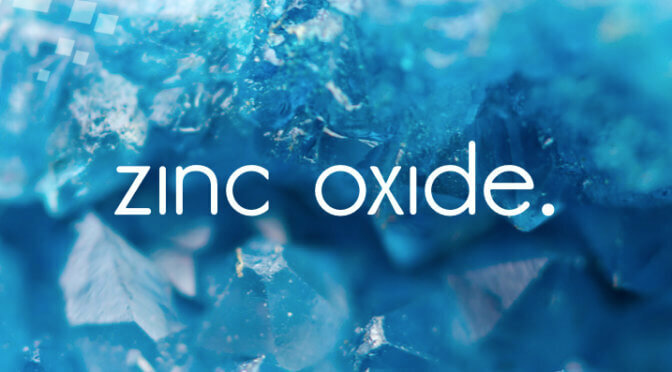 Zinc is a naturally occurring mineral that creates a physical barrier between UVA/UVB rays and your skin while simultaneously reducing inflammation. Chemical sunscreens will reflect or absorbs rays, a process which can create heat in the skin and be quite uncomfortable if you already have a burn! So, find some Zinc based sunblock! If you have burned to the point of blisters, it is wise to seek medical attention from your family doctor to make sure that it doesn’t get infected. Practice safe sun! Apply your sunscreen every 2-3 hours, keep yourself hydrated, and watch out for peak UVA/UVB hours. Enjoy your summer and know, we are always here to answer your questions about which sunscreen is right for you! The dog days of summer are upon us. The heat is high and the sun is strong! You are armed with your SPF to prevent aging and sunburns, but what is even more important that sunscreen? Planning your outside activities at the right time. In this blog, we are out to show that an ounce of sunscreen is just as important as an ounce of planning. The Ultraviolet Index (or UV index) is a tool the World Health Organization endorses and sets guidelines for that helps sun-seekers understand how quickly they can be harmed (aka sunburned) while in the sun. It is a scale from 1 – 12. The lower the number the lower the risk and less likelihood of getting burned. The higher the number the higher the likelihood of burning and greater risk to skin and eyes. It’s pretty straight forward. A UV index rating is applied to a specific place on the globe. A specific area or city’s index rating is determined using several pieces of information; including elevation, forecasted ozone levels, forecasted cloud level and the ground level strength of ultraviolet radiation. Depending on the calculation model, there are sometimes other factors included as well. Finding a UV index now a day is pretty easy. Most major newspapers publish it on the weather page. Google offers a quick UV rating for your location. We love Apps for your smart phone! UVLens is a free app available in the Apple App Store, and it allows you to enter information about your skin tone and coloring to give an idea of how quickly you would burn in your current location. (We are not paid endorsers of this app, we are just sharing a tool that we have found helpful!) It also allows you to check the UV index forecast for the near future, so that you can AVOID the sun when the UV index is at its peak. Because sometimes a little bit of avoidance is worth so much! Don’t have your phone with you? Trust the shadows. A quick way to determine how quickly you will burn is to see how long or short your shadow is. The shorter your shadow is when standing outside, the higher your risk is. The longer or taller (than you) it is the less your risk is. Whenever possible, avoid being outside during peak UV times. This usually is in the middle of the day. When you have to go out during peak hours, make sure you’ve got sunscreen AND a hat AND sunglasses. If the numbers are really high, clothing is helpful and knowing your shady areas in advance. For sunscreen recommendations, sun safety tips, help getting rid of sun damage and more, call us! We will help you have the skin you’ve always wanted! SPF 105, Worth it or Waste of Money? We have all been there, in the drug store, milling about in front of the rack of sunscreen, deciding between the SPF 30 and SPF 3 million. 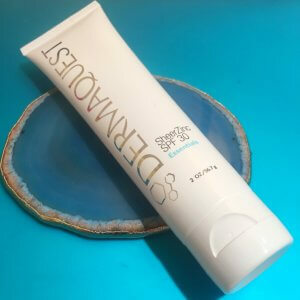 The SPF 30 is one you’ve always used before, it has a nice texture….. but surely if the 30 is good, the bottle with the higher number MUST be better. Right? An SPF in theory, is designed to multiply your body’s own natural sun protection by the number on the bottle. If it’s a day with a high UV index, a person can start to burn in 7 minutes (yes, that quickly). 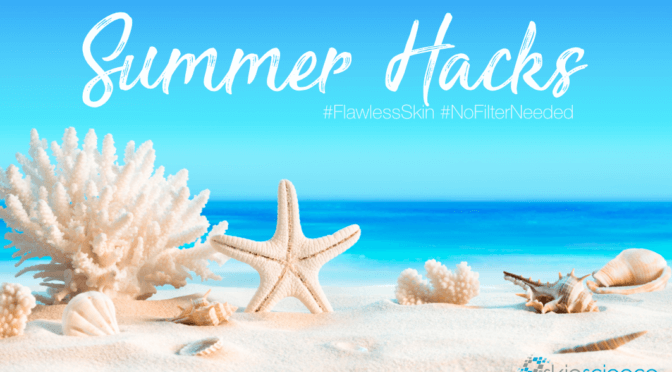 An SPF of 30 will potentially extend that to just over 3 hours (7 x 30 = 210 minutes). There are other variables to consider. Example: things like exposure to water and sweat will remove some of the SPF, reducing the length of time you are protected. Health Canada and FDA approved sunscreens with and SPF of 30 will screen 97% of UVA and UBV rays you are exposed to for the 210 minutes we talk about above. There were a few years there where everyone (many dermatologist included) where on the bigger is better bandwagon for sunscreens. It was an easy trap to get caught up in. But then Health Canada noticed and interesting trend: people where burning. Why were people getting sunburned while wearing SPF 105? Many consumers know how SPF’s are designed to function, so using the same UV index as we used above, an SPF of 105 in theory should get you an additional 8 hours in the sun without needing to re-apply. The problem is here is twofold. Chemical sunscreens are not active in your skin for that many hours before they destabilize and stop working, and mineral sunblock which is not absorbed into the skin, is going to rub off, sweat off, shed off with natural skin cell turnover, etc etc. In short, they don’t last as many hours as the consumer thinks that they will. What will an SPF 105 get you? It will get you an additional 1%, as SPF of 50 or higher will screen 97-98% of UVA and UVB you are exposed to. New Health Canada regulations were passed to protect consumers re SPF. Health Canada determined that ultra-high SPF numbers, were misleading to people as ALL sunscreens should be re-applied every 2-3 hours to be effective. Health Canada put forth that SPFs of higher than 50 gave a false sense of security that resulted in more dangerous sun exposure. As such you will now see that there are SPFs of 50, and 50+, but no higher. You will also see that “Waterproof” labelling has been changed to the more accurate “Water Resistant”, as well as a few other minor changes that make SPF labeling more accurate. SkinScience is quite happy with these new guidelines! It makes for safer, more protected people! Pick a product you like! This is the absolute most important rule! If you don’t like it, you won’t wear it, SO YOU HAVE TO LIKE IT!!!! Oh, and make it at least an SPF 30. Re-apply, every 2-3 hours. Sunscreens need 30 minutes from when they are applied to when they start working so re-application before the first application wears off is important! Apply lots! At one time. You need to use enough product that you are working it in, not just skimming it across your skin. The biggest mistake made, is not applying enough. When it comes down to it, if what you like is the highest number product, then go for it! But don’t break the bank on big numbers thinking they are better, because that is not always the case! Want your sunscreen questions answered? Book your consultation (or follow up consultation) today and we will walk you through how it works, why it’s important and how to find the right product for you!